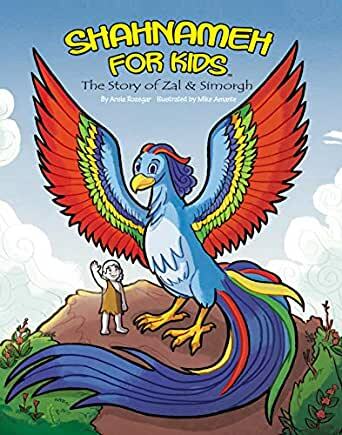 Shahnameh For Kids - The Story of Zal & Simorgh - Kindle edition by Arsia Rozegar, Mike Amante. Children Kindle eBooks @ Amazon.com. Inspired by Ferdowsi's Epic Poem,The Shahnameh, this children's book tells the classic tale of Zal, who was born with skin and hair white as snow. Because of his unusual appearance, Zal is abandoned as a newborn by his father at the foot of a mountain, but only to be discovered by the mystical and mythical giant bird known as Simorgh. An ancient Persian myth now an illustrated children's book. Excellent!!! The images are perfect and the story is well written and captures the actual story. We are very happy with this purchase and truly wish that more such books are produced soon.